Crossover Health | A Dream Fulfilled – Crossover Health to Open Flagship Store! A Dream Fulfilled – Crossover Health to Open Flagship Store! 23 Sep A Dream Fulfilled – Crossover Health to Open Flagship Store! As you know, we are thrilled to announce the opening of our flagship Crossover Health store in Aliso Viejo, CA later this Saturday. We are hosting a Grand Opening Reception on September 25, 2010 from 5:30 to 7:30 PM at 26831 Aliso Creek Road, Suite 200. We look forward to celebrating with our friends, family, and colleagues who have helped to make this event possible. We look forward to seeing you there. Crossover Health is a next generation health care organization that uses a membership based approach to fundamentally change the way health care is practiced, delivered, and experienced. 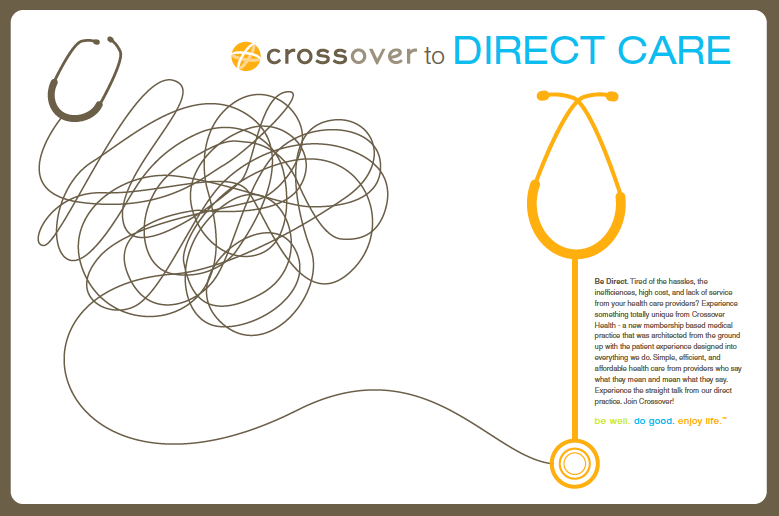 Crossover has been specifically designed to restore and enhance the patient-physician relationship, reduce the cost of health care, increases access and convenience, and deliver an unprecedented patient experience. We look forward to sharing with you how we do this and how you can benefit from this new type of health care. Be Direct. It is surprising how affordable, simple, and efficient health care can be when you purchase health care directly. Image used with permission from HelloHealth. At the Open House we will showcasing our new store, demonstrating our technology platform, discussing our unique practice model, and highlighting the growing network of medical professionals, diagnostic facilities, and other referral partners who make up the Crossover Health Network™. Be one of the first to learn about and benefit from our urgent, primary, and online care services. We look forward to welcoming you to this Saturday at the Grand Opening Reception! Congratulations!! I have an idea of what this means too you. I wish you and your team the best of luck.